17' LENGTH | 23" BEAM | 12" DEPTH | 39 LBS. Boat shown with optional bulkhead and hatch kit and deck rigging. 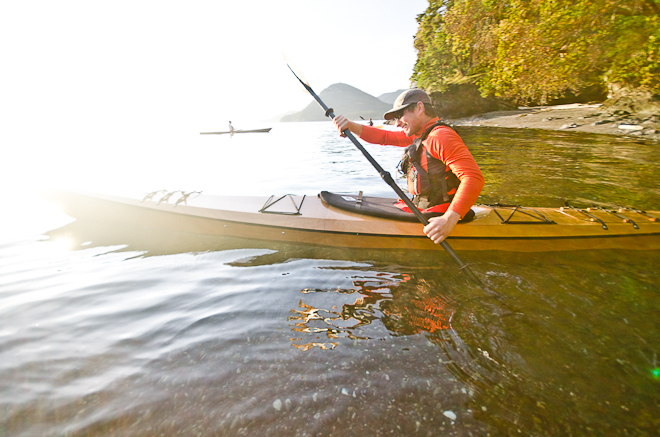 "If you're going to build a kayak, you'll want one worthy of your investment in time and effort. 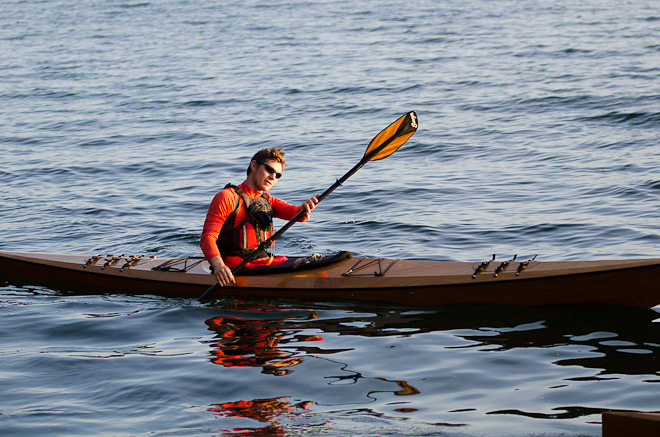 The Arctic Tern will reward your efforts with a finished product that's as pleasing to look at as it is to paddle." 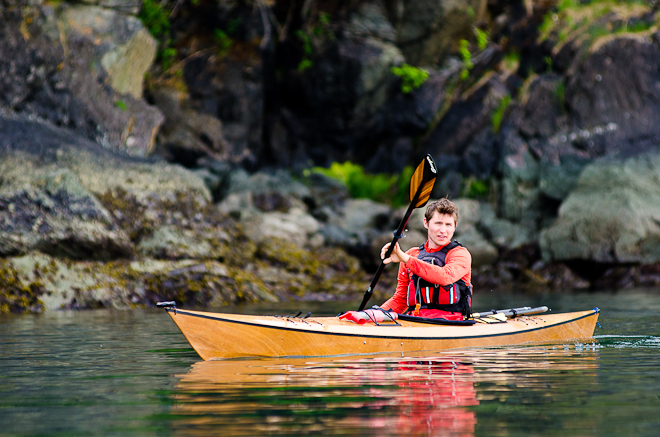 Pygmy Boat designer, John Lockwood, created a new sea kayak in 1998 with a graceful Greenland style hull. 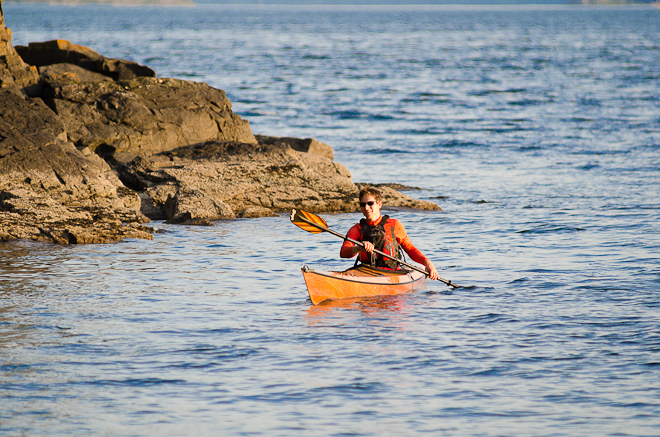 He named her the Arctic Tern in honor of the sleek, migratory birds which accompanied him on a 2-month solo wilderness paddle in Canada’s Northwest Territories. A world innovator in computerized hull design, Lockwood carefully crafted this stitch-n-glue kit boat with versatility in mind. He gave the Arctic Tern a strong tracking keel. When you want to alter course quickly, lean over on her hard chines and cut fast, graceful turns. The sweet balance between tracking and turning in this hull results from Lockwood’s years of CAD boat design expertise and 30 years of extended wilderness paddling. 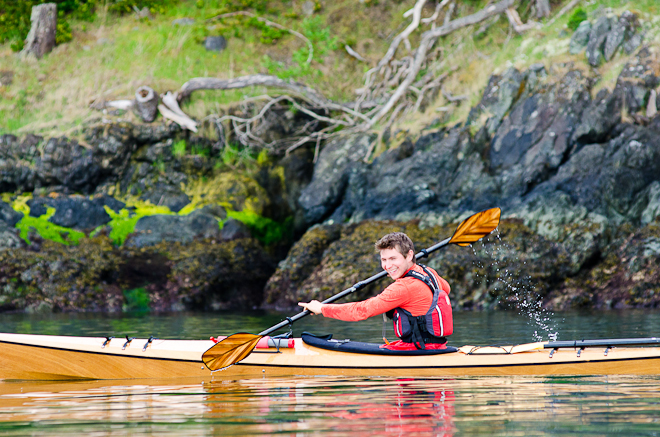 The Arctic Tern lies firmly in the ancient Arctic kayak tradition--no tracking aids required. Slightly more symmetrical and narrower than Pygmy’s other hard-chine line—the Queen Charlottes--the Arctic Tern has a lower wetted surface area. Good initial stability and excellent secondary stability make her stable enough for beginners and exciting enough to entice highly skilled paddlers. Her ability to perform crisp, tight chine turns, coupled with high volume bow and stern, make her a good choice for those who like to paddle in rough water or surf zones. Experienced paddlers have grown to appreciate the ease with which a traditional Greenland hull responds to a lean. Lockwood adapted the classic Greenland style to modern trends. The Arctic Tern’s elegant, multi-paneled deck gives new functionality to the hull form of her ancient predecessors. Her low deck amidships allows a steep and relaxed paddle approach. The Pygmy cambered deck is comfortable for small to large paddlers. Even those with up to size 12 (men’s) shoe find good foot room. 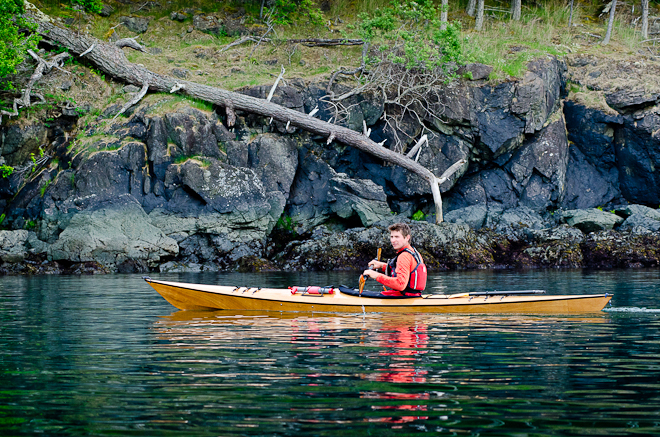 Taller paddlers, or those who wear a shoe size larger than a men's twelve, might prefer the fit of the Arctic Tern Hi. 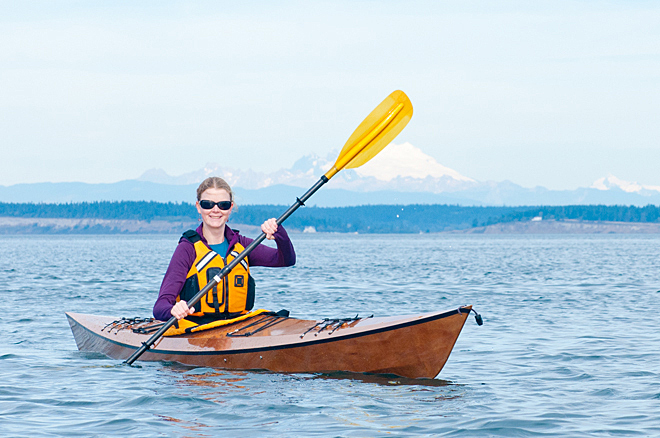 Her raked bow and stern combined with the beautiful sweeping curves of the multi-chined cambered deck make this one of the most attractive medium volume touring kayaks available. And who wants a boat good for touring only? Her 39 pounds make her a light delight on day trips or lunch hour workouts. To request a Pygmy catalog, click here. 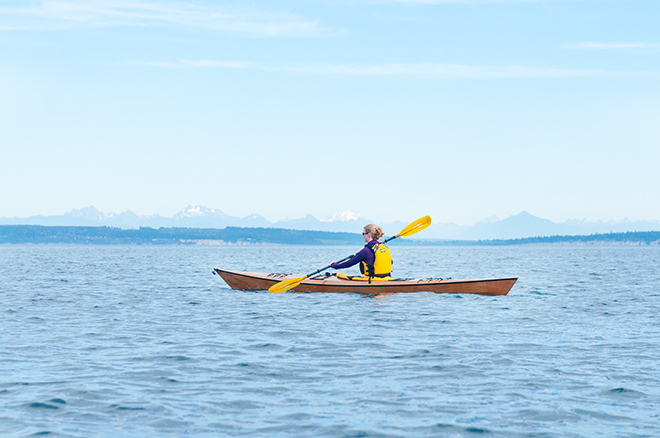 *The transverse Metacenter, in inches, is a measure of a kayak's initial stability. A higher number is more stable. All single kayaks computed with same weight person. **Kayak cruising speed is proportional to the boat's wetted surface, which is the area of frictional drag of the water on the hull, here expressed in sq. ft.
* We usually ship "Medium" hardener with our kits (good for temperatures ranging from 55-75 degrees Fahrenheit). You may order "Slow" for hot climates (75-95 degrees Fahrenheit) or "Fast" for cold climates (35-55 degrees Fahrenheit) upon request. Read the System Three Epoxy Book to help select the appropriate epoxy and hardener for you. If you would like a copy of the Epoxy Book, click here to download. We also stock System Three’s Silver Tip Epoxy and offer this as an option in our boat kits for an additional charge. For Silvertip epoxy the slow hardener is good for temperatures warmer than 65 and the fast is best for temperatures cooler than 65. Note: Silver Tip Resin can only ship via Ground Service and is not eligible for shipments to Alaska.